INDONESIA - JAKARTA, PT Indomobil Suzuki Sales recently launched Karimun most luxurious variant of Wagon R, Wagon R Suzuki Karimun the Dilago in Indonesia. 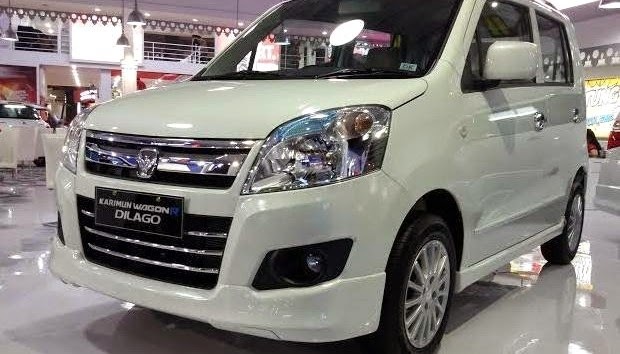 Even exclusive products Karimun Wagon R Dilago is officially launched in the arena of the Jakarta Fair 2014 (PRJ) Even this successful lure PRJ 2014 visitors. Comes with the status of the most luxurious, what then fuel consumption the latest car Suzuki's flagship? "Fuel consumption is keep 20 km / 1 liter. Although using a big rims but fuel consumption keep frugal, " 4W firm Marketing and DND Director of PT Indomobil Suzuki Sales (SIS) Davy Tuilan. According to Davy, the results of the fuel consumption of Karimun Wagon R Dilago This economical tested by the Hall Thermodynamics and Propulsion Motor (BMTP) Serpong in May 2014 ago. "It has been tested in BTMP last May," he said.